I’ve never been a big believer in the power of meteorology, though I do usually think that a 24 hour prediction cycle should be close. That is why I am especially disappointed that it is THUNDERSTORMING right now. As I mentioned in my previous post, weather.com indicated that today would be partly cloudy. There is no “partly” about what I’m seeing through my window at this moment. Don’t get me wrong; I love a good thunderstorm. The electricity in the air, the sudden bursts of nerve-shattering noise, the rain, and the amazing smells are somehow invigorating and relaxing at the same time. But, as a type-A personality, it is frustrating when I have a plan in mind that I can’t execute. There may be no raised-bed filling today. 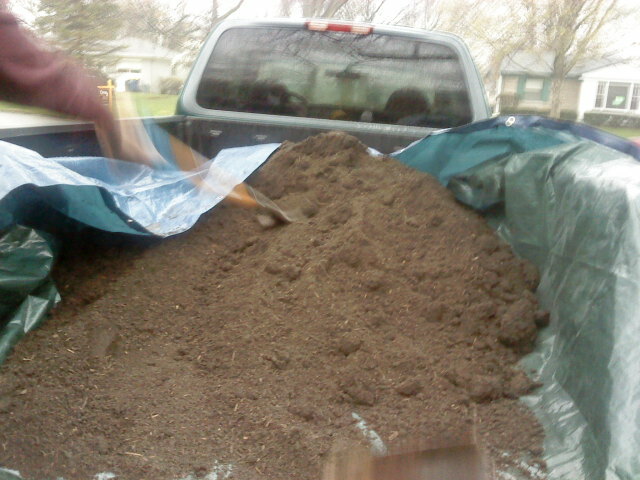 There is, however, good news: the first cubic yard of beautiful soil is here! The manliest man, living up to his reputation, got out his tarps and picked up the dirt as scheduled. It was fun getting the dirt out of the truck; as the rain came down and the adults worked to keep it from becoming mud, the kids splashed merrily in the puddles and rode their bikes with their tongues out, catching raindrops like snowflakes. 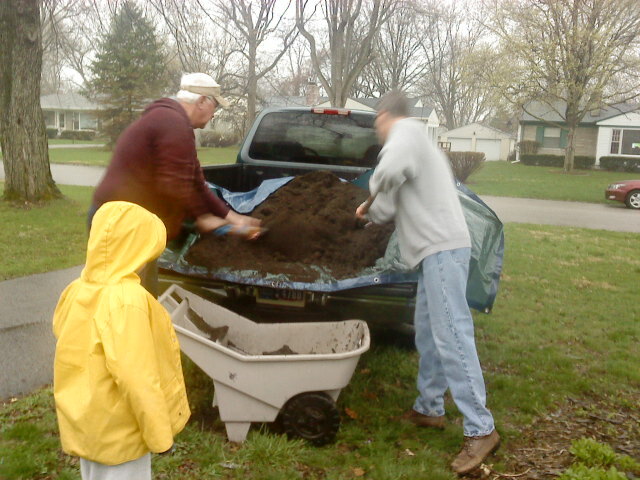 Our first shipment of lovely, organic, life-giving soil is now sandwiched between two tarps in our front yard, keeping dry, awaiting its purpose. While I uploaded my pictures and wrote this post, the sky got a little brighter, and the rain stopped. We may get some dirt under our nails yet!